Marriott International, Inc. marked a new milestone today with the opening of JW Marriott Hotel Macau and The Ritz-Carlton, Macau in the thriving Special Administrative Region (S.A.R) of Macau in South China. 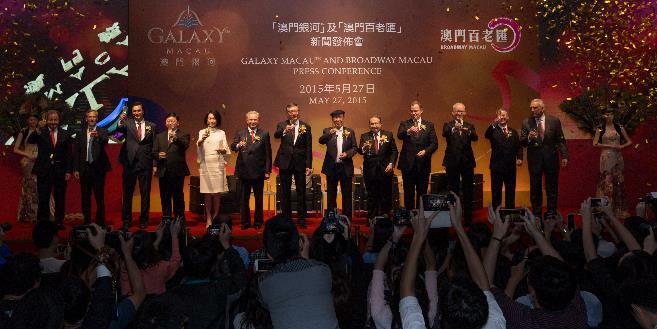 The properties are located within one of the world’s most spectacular entertainment and leisure destinations – Galaxy Macau™. 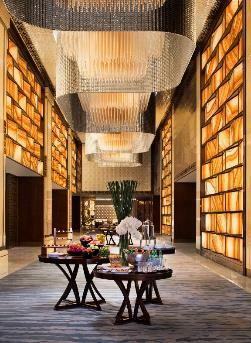 Guests are invited to embark on an urban escape at Asia’s largest JW Marriott property or revel in the finest personal service and unforgettable experiences at the all-suite hotel by The Ritz-Carlton. Simon Cooper, President and Managing Director Asia-Pacific of Marriott International, Inc. and Herve Humler, President and Chief Operating Officer of The Ritz-Carlton Hotel Company join the Galaxy senior management team on stage to toast the opening of the JW Marriott Hotel Macau and The Ritz-Carlton, Macau in the new Galaxy Macau™ Phase II. “The opening of the JW Marriott Hotel Macau and The Ritz-Carlton, Macau with their exceptional service, superb facilities and spectacular culinary experiences will add an extra dimension to Galaxy Macau™, creating the ultimate destination for unlimited leisure and enjoyment. The two hotels – each with their distinct brand identities – are sure to enhance the Macau experience and will redefine the meaning of luxury in the region,” said Rauf Malik, Vice President of Operations at JW Marriott Hotel Macau and The Ritz-Carlton, Macau. Marriott International currently operates 177 hotels in Asia Pacific and the JW Marriott Hotel Macau marks the region’s 29th JW Marriott property. By 2020, the JW Marriott brand is expected to have more than 50 properties in the Asia Pacific region. 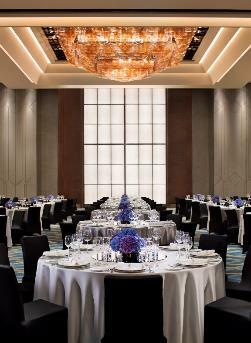 The Ritz-Carlton Hotel Company, LLC currently operates 88 hotels around the globe with The Ritz-Carlton, Macau being its 89th hotel. The brand is planning to double its footprint across Asia in the next five years.The grand opening of both the JW Marriott Hotel Macau and The Ritz-Carlton, Macau will further solidify Macau’s evolving positioning as a leading destination for leisure and entertainment as well as meetings, incentives and special events. JW Marriott Hotel Macau and The Ritz-Carlton, Macau are located at Galaxy Macau™, Phase II – Macau’s newest, fully integrated world-class resort. Here, guests have easy access to a host of leisure and entertainment options, including premium shopping, exquisite dining, world-class entertainment events and multi-functional meeting spaces. Easily accessible by air, land and sea, 31 million tourists visited Macau in 2014, with the majority coming from mainland China.